The 28 September 2018 is World Rabies Day, a global day of action and awareness for rabies prevention. To mark the occasion Lorraine McElhinney (acting Head of the APHA Wildlife Zoonoses & Vector-Borne Diseases Research Group) explains why rabies is still such an important disease and highlights some of the events her team are doing to raise awareness. Despite the availability of highly effective vaccines, rabies is estimated to cause at least 59,000 human deaths a year worldwide. On average 100 children die of rabies every day. The global disease burden exceeds $8.6 Billion and yet it is a neglected disease of low income countries.Whilst the UK is free from canine rabies, a small proportion of UK bats are infected with a related virus (European Bat 2 Lyssavirus, EBLV-2). This virus was responsible for a fatal case of rabies in a bat conservationist in Scotland in 2002. Since surveillance started at APHA Weybridge in 1987 more than 20 cases of rabies have been detected in Daubenton’s bats (Myotis Daubentonii). Seven cases of EBLV2 have been detected so far in 2018 in Cambridgeshire, Sussex and Northumberland. This year Mission Rabies, a UK based charity, invited APHA scientists to join them in a sponsored skydiving event to support and raise awareness of global rabies elimination. Needless to say, there were considerably fewer volunteers for this event! However, three brave scientists from the Wildlife Zoonoses & Vector-Borne Diseases Research Group at APHA Weybridge volunteered to join the Mission Rabies Team. On the 13th October at 9am, they will be launching themselves out of a plane at 15,000 ft and free-falling for over 60 seconds. Please visit their just giving pages if you would like to sponsor them. The less brave of us will be taking part in a rather more genteel workshop on UK Bat Rabies on October 1st at APHA Weybridge. 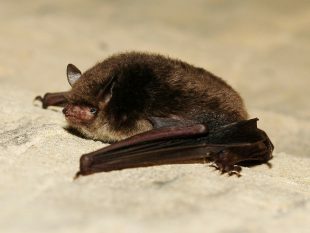 Participants will include scientists from APHA, Defra, Public Health England and the Bat Conservation Trust, all of whom play a pivotal role in bat rabies surveillance and dealing with bat bites and confirmed cases in the UK. We hope to use the workshop to develop stronger collaborative links between the different stakeholders and provide updates on our diverse roles and activities. In addition, Tony Fooks (Director of the APHA WHO Collaborating Centre for Rabies) will be speaking at the Scientific Symposium during the WHO Collaborating Centres Meeting in Germany. His talk is “Challenges in Rabies Prevention – the Growing Diversity of Lyssaviruses”.